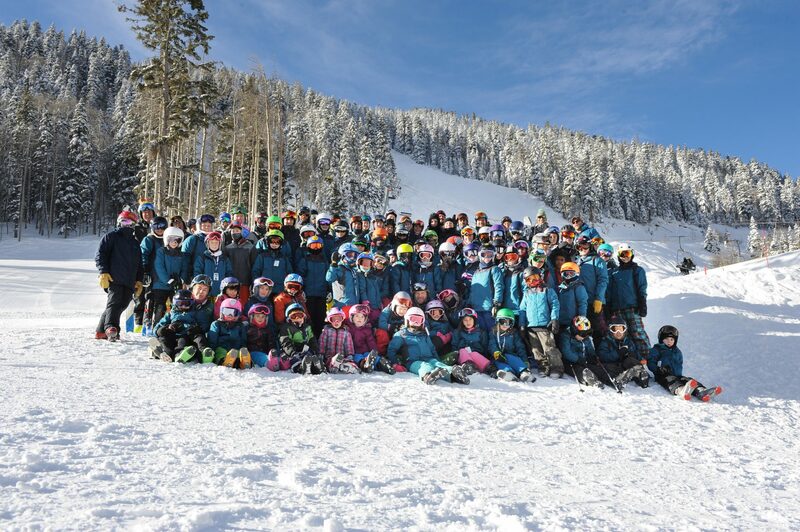 TWST is happy to offer an exciting program that focuses on big mountain skiing. Athletes participating in this program will learn the skills needed to negotiate some of the steepest terrain in North America. Our home in Taos Ski Valley affords our athletes the chance to challenge themselves with narrow chutes, steep lines and ripping fast large peak descents. Athletes will fine tune their fundamental skiing skills, and learn avalanche awareness in a supervised environment. Our Big Mountain Program is designed for athletes that wish to compete in regional and national IFSA competitions on a regular basis. Athletes will receive coaching every Saturday and Sunday, holidays, a 5-day xmas camp, coaching at events, dryland training, and preseason on snow training. Some prior snow sports competition experience is helpful but not required. These athletes are expected to possess a level of maturity and mountain awareness that allows the athlete to navigate the mountain without 100% supervision from the coaching staff. This program features our most knowledgable coaching staff, providing exceptional coaching to every athlete focusing on skills development and competition readiness.